Magic Mixer Cakes and Bakes owner Rania Freij tells us what it’s like to start a cake making business. Starting off as a hobby into a full-time business is a challenge, but one that Rania eventually found too hard to resist. Based in Banbury Oxfordshire, Magic Mixer Cakes & Bakes are dedicated home bakers committed to making high quality bespoke, handmade cakes & bakes. 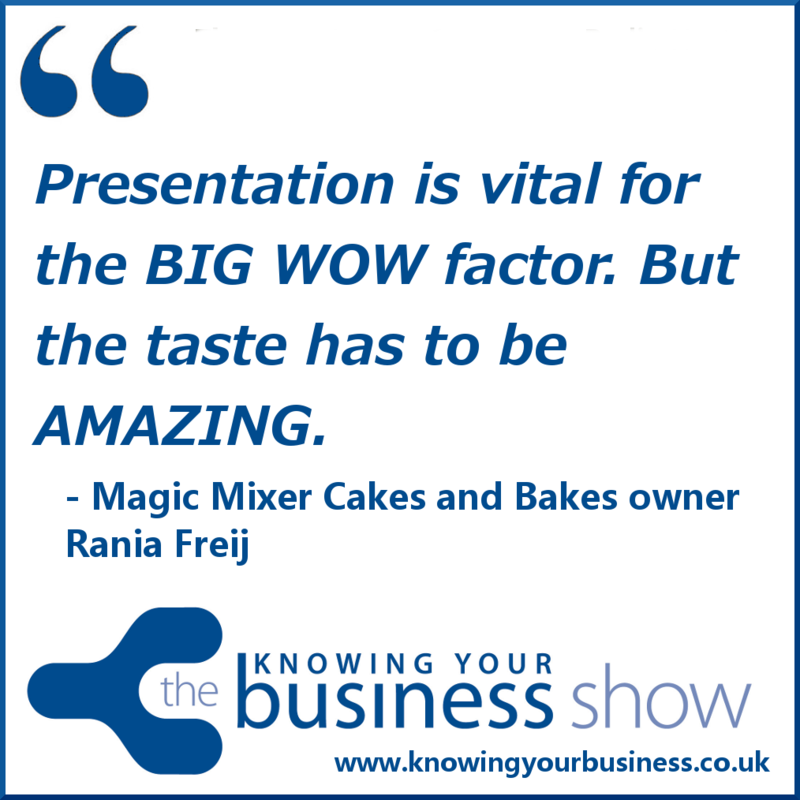 We hear Rania explain her aim for the business – to produce and provide fresh cakes and bakes using top quality ingredients, whilst offering great value. She is targeting the weddings market by contacting photographers and florists, as well as hosting children’s parties and running classes in cake decoration. Working from home she covers a relatively wide area from Northamptonshire to Oxford. She has also started hosting vintage tea parties, having built up a collection of cups and saucers, and she is also looking to break into the corporate market to take advantage of the demand for quality cup cakes at events. If you have any questions for Rania or would just like to leave a comment, please do.